Kate Laity The joyful despair of ‘Alcohol’ seems to make it destined for classic status. From its opening exhortation ‘Come on, park your arse / and have a drink with me’ to its refrain ‘keep me drinking / stop me thinking’ the song is as dedicated to the notion that ‘sorrows drown’ even as it offers evidence that they come equipped with flotation devices. (see whole review here: grahamwynd.wordpress.com/2015/08/05/review-how-the-river-runs-dry-by-the-original-beekeepers/) Favorite track: Alcohol. 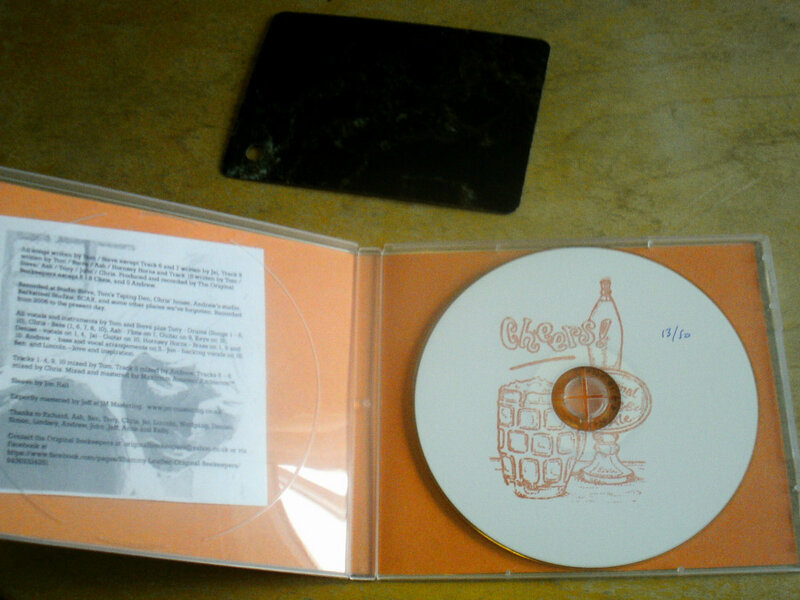 Download includes a PDF booklet including full sleeve notes and a short story, plus back and front covers to make your own "Jewel Case" version. 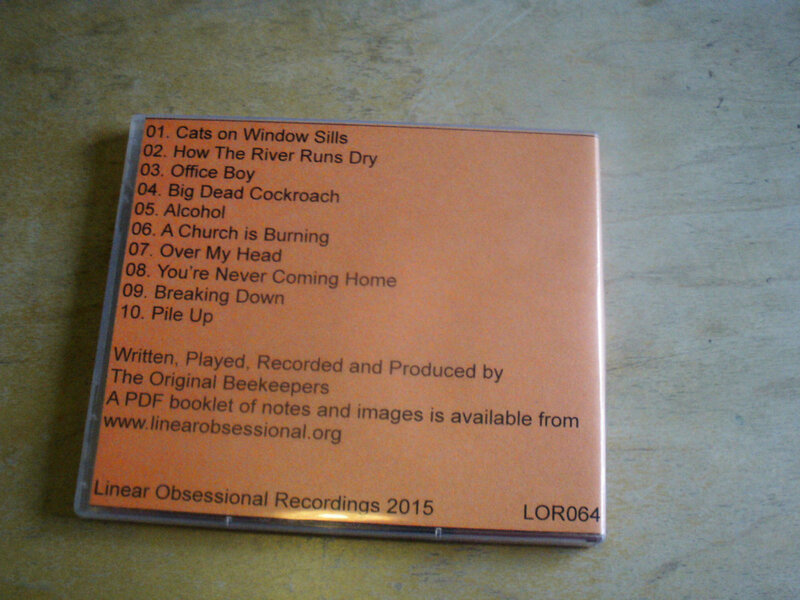 Linear Obsessional presents the new album from English underground pop mainstays The Original Beekeepers, who have been releasing low-level works of sardonic pop genius for the best part of 30 years. "How The River Runs Dry" is a collection of interconnected songs that piece together a story set in British suburbia. Featuring dryly humorous lyrics and the kind of intricate arrangements (including a brass section and guest vocalists) for which the band has become known, this album, several years in the making, has been described by the band as "probably our best / most consistent work since 2002". 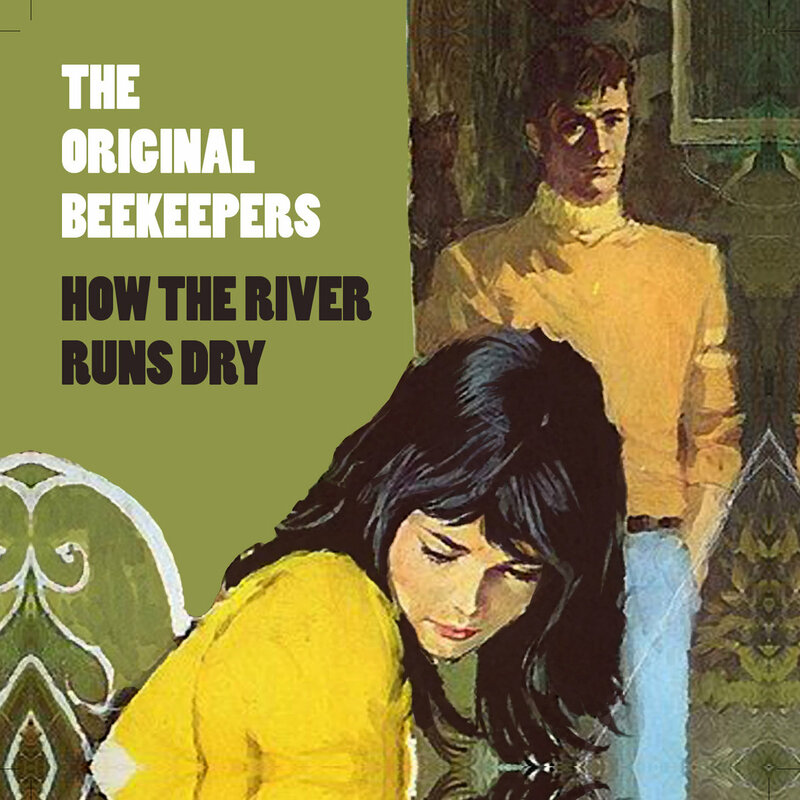 The Original Beekeepers are Linear Obsessional's resident pop group, and this album, running from the exquisite pop of "Cats On Window Sills" to the Sun Ra skank of "Breaking Down" demands your attention. All songs written by Tom / Steve except Track 6 and 7 written by Jai, Track 9 written by Tom / Steve / Ash / Hornsey Horns and Track 10 written by Tom / Steve/ Ash / Tony / John / Chris. Produced and recorded by The Original Beekeepers except 6 - 8 Chris, and 5 Andrew. Recorded at Studio Steve, Tom’s Taping Den, Chris’ house, Andrew’s studio, Backstreet Studios, SCAR, and some other places we’ve forgotten. Recorded from 2006 to the present day. All vocals and instruments by Tom and Steve plus Tony - Drums (Songs 1 - 8, 10), Chris - Bass (1, 6, 7, 8, 10), Ash - Flute on 1, Guitar on 9, Keys on 10, Denise - vocals on 1, 4, Jai - Guitar on 10, Hornsey Horns - Brass on 1, 9 and 10. Andrew - bass and vocal arrangements on 5. Jon - backing vocals on 10. Ben and Lincoln – love and inspiration. Tracks 1- 4, 9, 10 mixed by Tom. Track 5 mixed by Andrew. 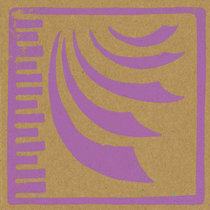 Tracks 6 – 8 mixed by Chris. Mixed and mastered for Maximum Amateur Ambience™. Thanks to Richard, Ash, Ben, Tony, Chris, Jai, Lincoln, Wolfgang, Denise, Simon, Lindsey, Andrew, John ,Jeff, Anne and Kelly. "How could I resist this pulpy cover? 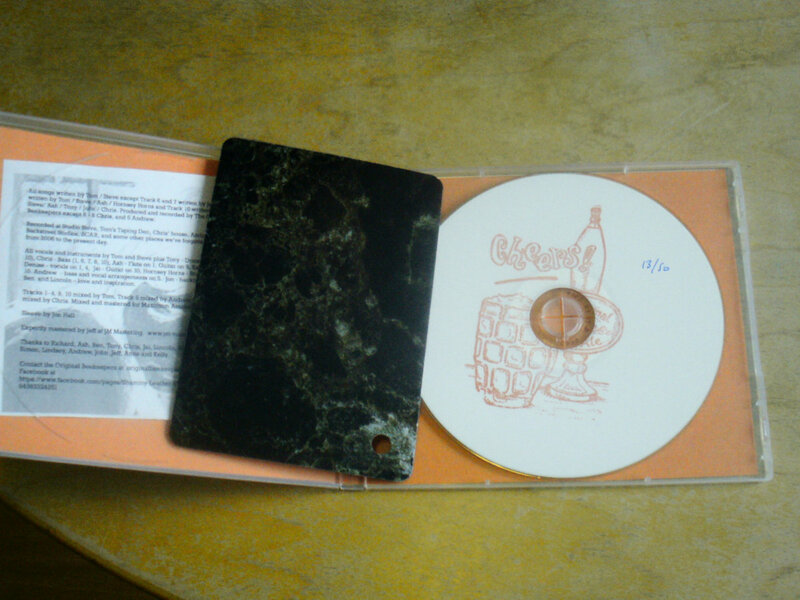 And the nostalgic pleasure of the album with extras: the limited edition CDs do come with the Formica samples (Brushed Silver Matt, in my case). Although this disc is poppier than the usual meditative/experimental work the label features, it still has the same aesthetic precision missing from factory-stamped product. 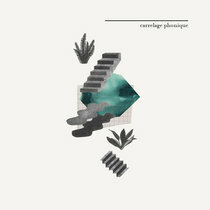 I advise you to buy this album and start drinking as you examine everything that’s gone wrong with your life. And then dance — all night if need be"
"La improvisación y lo experimental son algunas de las aficiones preferidas de los responsables de Linear Obsessional, aunque a veces hagan cosas raras por caminos más raros todavía. 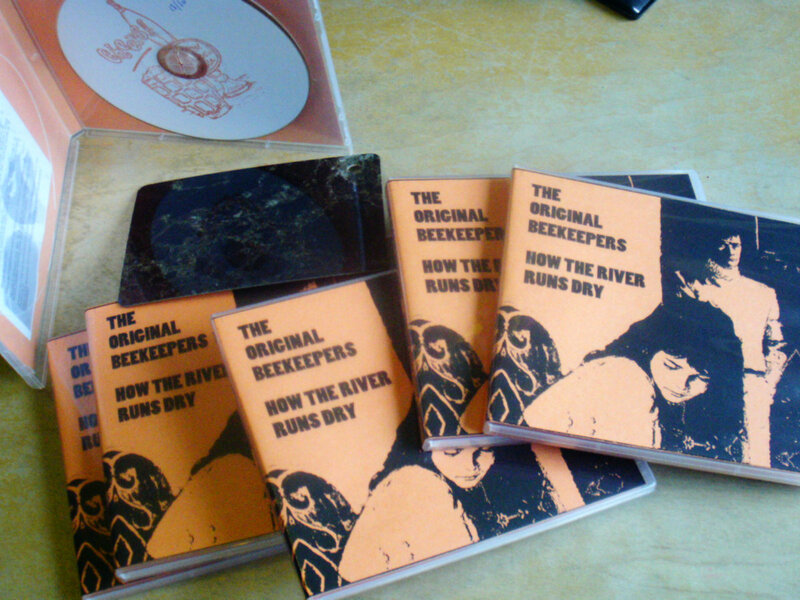 Han publicado ahí “How The River Runs Dry”, de los ingleses The Original Beekeepers, que es como pop naif de toda la vida, de apariencia hedonista y juvenil, pero con letras sobre la vida cotidiana en un área residencial donde se suspira al coger el metro y se bebe para esperar que llegue el fin de semana para poder, por fin, cortar el césped."